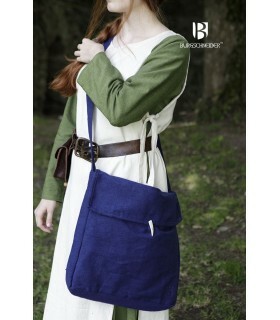 Medieval Bags There are 46 products. 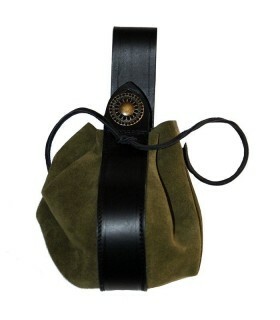 Small medieval bag with cord closure that can be hung on the belt. Made of split leather. 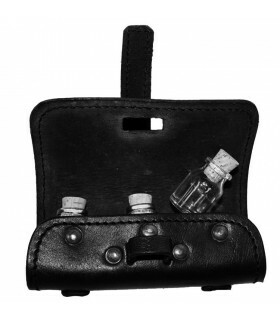 It is ideal for carrying coins or small objects. 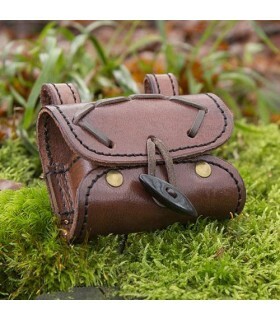 Bag with 3 boats to carry magic potions. Made of leather. It comes ready to be worn on the belt. It Includes 3 boats. 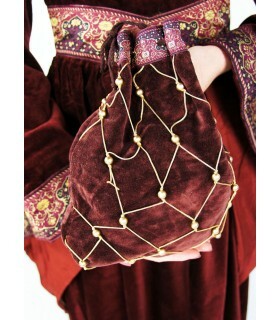 Bag for medieval noblewoman, color red wine. Made of cotton and polyester. Only your dry cleaning is recommended. 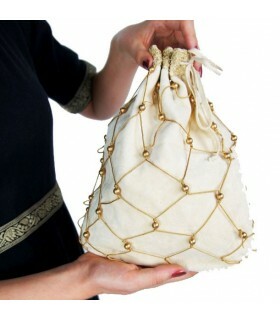 Bag for woman noble medieval, cream color. Manufactured in cotton and polyester. Only recommended for dry cleaning. 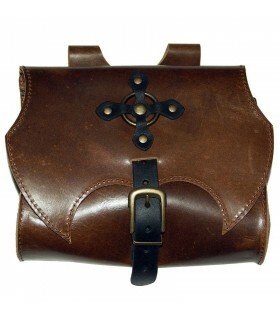 Handmade bag made handy brown leather to supplement medieval costumes can be positioned in any kind of belt. 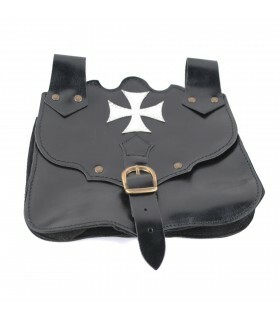 Bag handmade black leather made convenient to supplement medieval costumes can be positioned in any kind of belt. 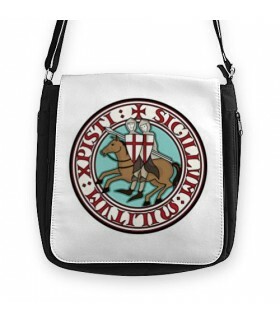 Bag to carry on your belt with classic closing. 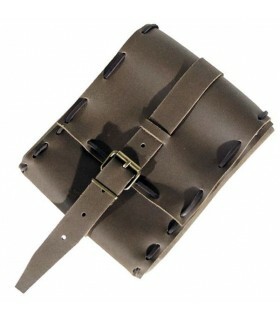 Has an inner bellows adapts depending on what you want to bring inside. 20 cms. high x 17 cms. wide. 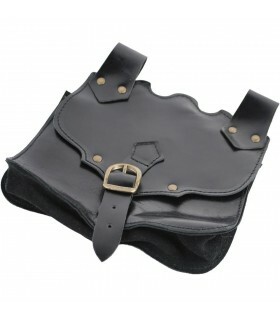 Black bag to carry in your leather belt with classic closing. 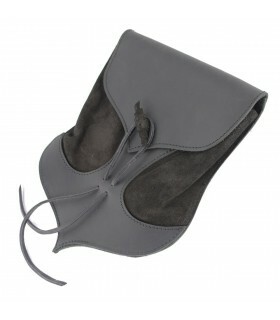 Has an inner bellows adapts depending on what you want to bring inside. 20 cms. high x 17 cms. wide. 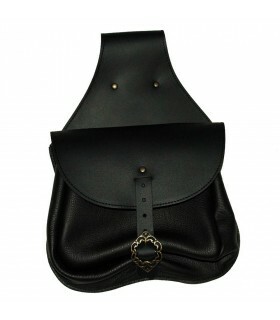 Leather fanny pouch on black flower. It can be placed in any kind of belt. 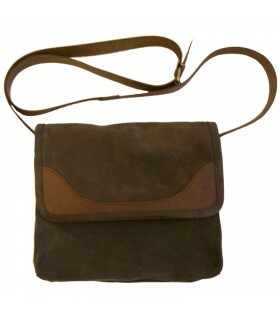 fanny pouch type plain brown and split oiled brown. To put on any kind of belt. 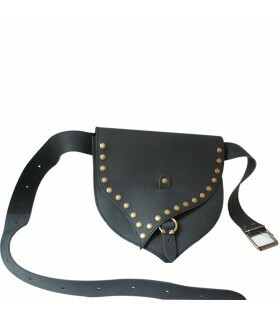 Bag handmade leather made 26 Cnt. wide X 25 Cnt. 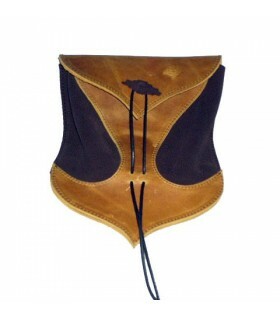 high, very practical and nice to supplement medieval costumes can be positioned in any belt up to 7 Song. wide and ability to do it in any color. If you require the need for a wider belt it is what we can do. Consult. 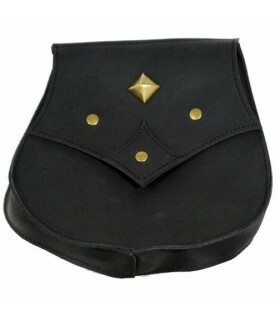 Bag very exclusive handmade made thick skin of about 3.5 mm, medium-capacity, 19 Cnt. wide X 17 Cen. 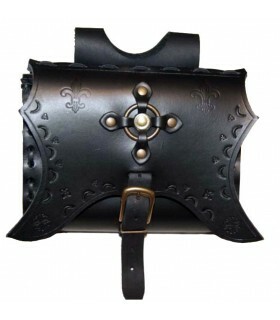 high, very practical and nice to supplement medieval costumes can be positioned in any belt up to 8 centimeters wide and ability to do it in any color. Consult. 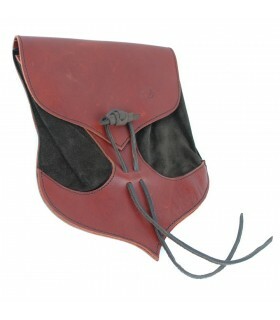 Handmade bag made of reddish skin, medium-capacity, 19 Cnt. wide X 17 Cen. high, very practical and nice to supplement medieval costumes can be positioned in any zone and possibility to do it in any color. Consult. 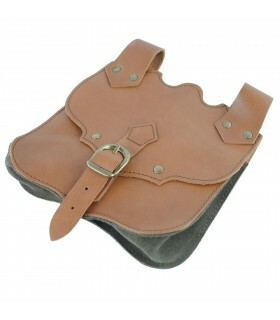 sa handmade leather made, medium-capacity, 20 Cnt. wide X 14 Cen. high, very practical and nice to supplement medieval costumes can be positioned in any type of belt with a maximum of 7.5 Cnt. wide and ability to do it in any color. Consult. 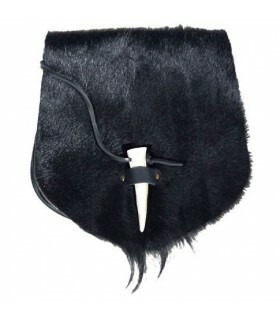 Portfolio in split leather trimmed with the same fur yarn. 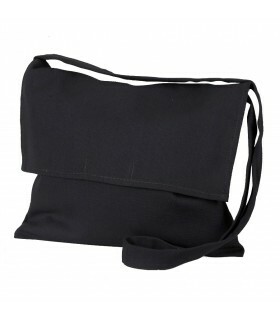 It has three inside pockets of the same size as the inner bag and close with two snap buttons. Measures 28 centimeters wide, 23 centimeters high and 6 centimeters deep. 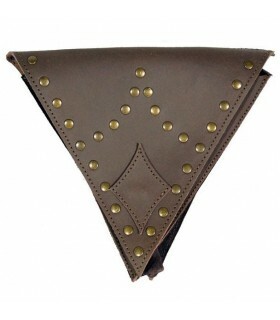 Made by hand with the highest quality leather. 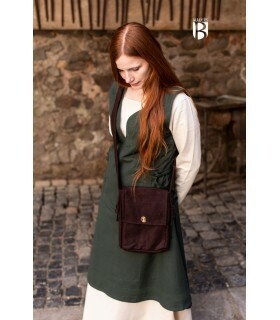 medieval bag to hang on belt. Handmade made split leather on the bellows and central strip in thick skin of a Black 3mm, medium capacity, measuring approximately 15 cm. wide x 25 cm. High overall. 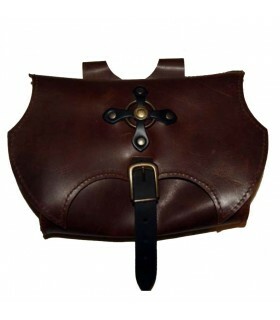 Convenient to supplement medieval costumes can be positioned in any kind of belt. 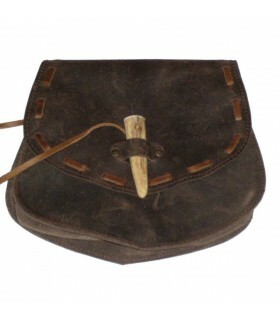 Original medieval scales bag hanging on his belt. 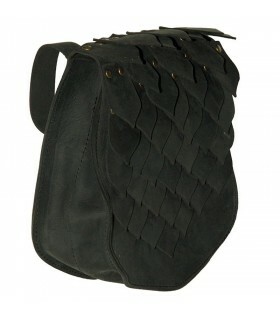 Made of leather with riveted scales and an internal separator. Closing magnet. Dimensions: 20x20 cms. 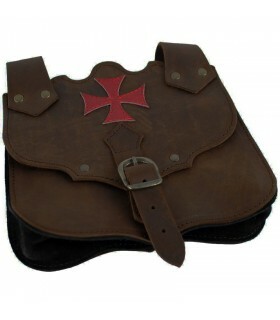 Article made of leather of the highest quality. 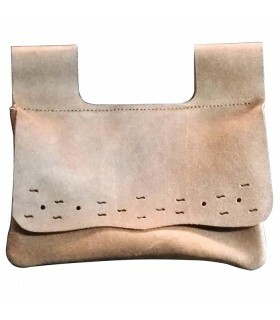 Bag handmade leather made half capacity. 24 Cnt. wide X 30 Cen. 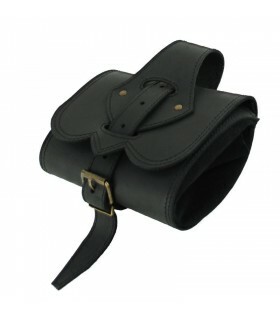 High in all, very practical and nice to supplement medieval costumes can be positioned in any kind of belt. 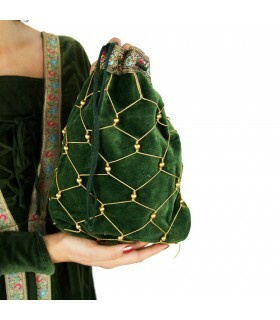 Bag for medieval noblewoman, olive green. Made of cotton and polyester. Only your dry cleaning is recommended. 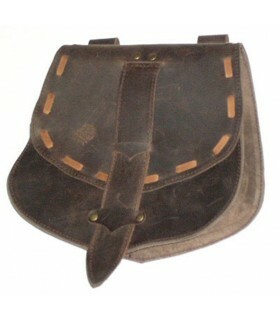 Small medieval bag (20x20 cms.) Handcrafted in premium leather. Ideal for hanging on any belt. Includes magnet closure. 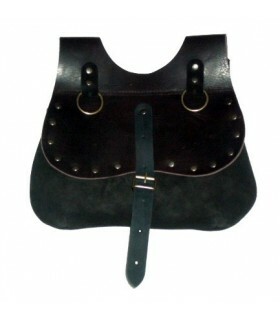 Medieval bag handcrafted for belt use. Includes magnet closure. Made of premium leather. 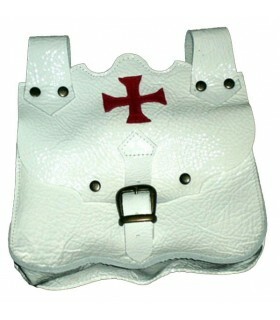 Medieval bag with the Templar Cross of the Calatravos. Made in premium leather. Ready to wear on any belt. 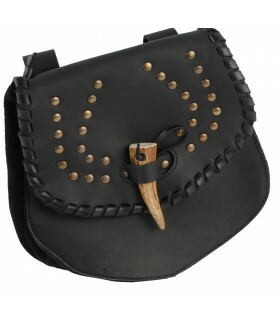 Medieval bag made of leather, sewn with leather cord, buckle closure and ready to hang on any belt width. 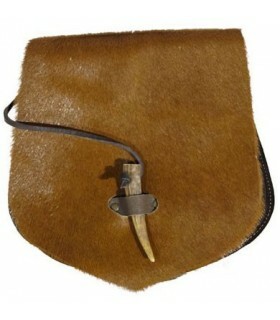 Medieval bag made of pony skin and oiled leather, with internal separator that divides it into two spaces and closure with genuine horn. It is ready to hang in any belt width. 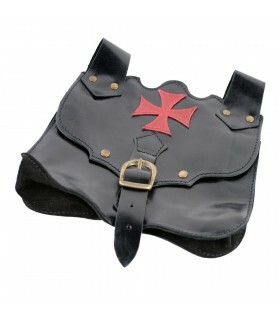 Templar bag for children. It is a fanny pack made of leather. It can be placed on any type of belt. Measures 16 x 13 cms. 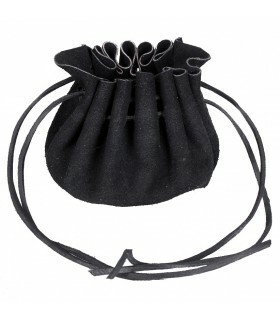 Medieval bag for coins. 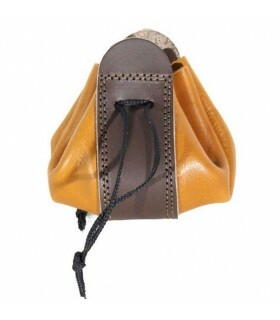 It is an article manufactured in Alicante (Spain) in an artisanal way in premium leather. The closure is cord. Ask us for availability other colors. 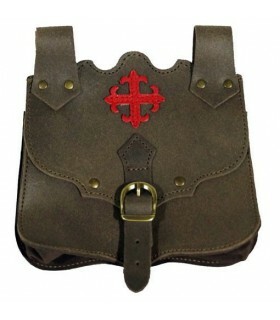 Medieval Faltriquera bag, type fanny pack, made of aged suede leather that adapts to any type of belt. It does not have closure. Bag with 2 cans to carry the magic potions. 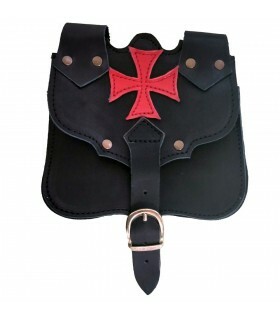 Made of natural leather It is prepared to be worn on the belt. Includes the 2 boats. 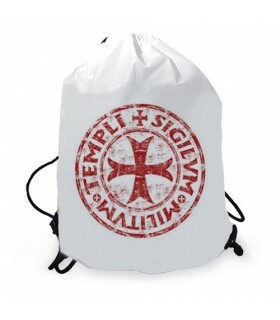 Lightweight rope or gymsack backpack of the Knights Templar with reinforced corners and capacity of 15 liters. The backpack is white and the strings are black. Manufactured in accordance with regulation (EG) Nº1907 / 2006. Suitable for washing machine.NOT suitable for dryer. 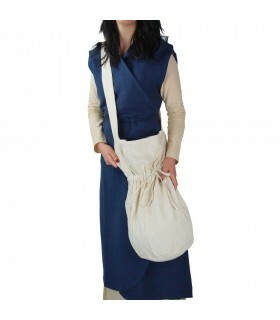 Belt medieval with 5 pockets ideal for those small accessories that you need for the trip. The pockets are sewn to the belt. Closed by a button. 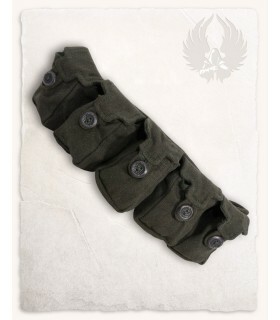 The pockets measure 6 cms. long, 4 cms. wide and 11 cms. high.